Technology has changed the sales game entirely, and this trend will continue! That clearly indicates that a salesperson needs to adopt new skills to be at the top of this game. Many traditional sales techniques that have worked in the past are turning out to be ineffective due to technology taking over the process. No need to pick up the phone or go door to door promoting your products when it’s easier to set up an effective digital marketing campaign that uses AI to pull out all potential leads. On the other hand, easy access to information has allowed prospects to have full control of the buying process. They don’t need a salesperson to guide them or provide a list of features and benefits of a particular product. All this data is available in the form of product descriptions and reviews on the internet. All you have to do is type in the right keywords on Google for it. In fact, out of 3.5 billion daily Google searches I’m pretty sure most of them are related to product information. Now that you know product details are in the grasp of consumers, you can still contribute and help your respective companies close more deals. What prospects still lack is their ability to understand and translate most of the information that’s available on the internet. Regardless of all the information you find on the internet, you can’t compare it with the expertise a salesperson has for a group of products or a particular industry. That’s when these sales experts can implement modern sales techniques. Successful modern sales reps make efforts to enhance their relationship with potential prospects. These relationships are used as gateways to influence a customer’s buying options. Eventually, before you know it, you’ll be in their minds just like you used to be when cold calling was an effective strategy. You can never expect machines to act more than what they are. The influence a human has on another human is beyond any AI or AR technology taking over the world. Beatrice is about to give you some awesome salesperson skills. Things that can be developed over time and make you better at selling. But before we get into that, I wanted to give you a bonus skill that takes zero talent. What is it? Yes and no. You should be reaching out in a number of ways. 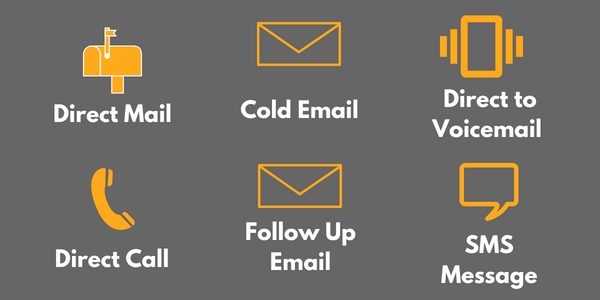 One of my favorite right now is the one-two punch of cold email to direct mail. You send something in the direct mail and wait 3-4 days (enough time for your mail to get to your prospect). Then, you hit them with an email. A message that has your offer and let them known they should have something from you in their mailbox. Many reps are relying on one, maybe two methods and don’t branch out. Here’s a quick image to show you some of the options available. Be sure to check out LeadFuze’s unlimited data plan, where you can find the addresses, emails and social data for prospects you want to reach out to. Now back to Beatrice’s amazing skill-improving content. Do I have your attention now? I’m pretty sure by now you must already be drooling for those tips to make you the talk of the town again. These skills are pretty easy to master. All they require is a little bit of planning and complete focus. Here are five essential skills that every salesperson needs to develop to survive in their particular industry. Remember, regardless of technological development changing how things work around here; it can’t beat the effects of human-to-human interactions. Have you seen the movie ‘I, Robot’? Though the movie was pretty good with Will Smith becoming a living nightmare for all the robots, it comprised a message that I took pretty seriously. And I’m sure many others might have also understood it in the same way! The way a human being can be compassionate with the customer and get into their heads is something technology may never specialize in. As a salesperson, you need to focus on creating a relationship with your target audience instead of always throwing sales pitches at them. It will take you time to control your emotions and have regular talks instead of promotional ones, but I have faith in you. With enough practice and focus, you can quickly capitalize on this skill. Here are two things you should do to adapt to this change. Start listening more! I know it’s difficult as you have a habit of talking more, but you need to start listening to what your customers want, not what you wish to sell. Enhance your face-to-face communication skills as a rational human being with lots of eye-contact, giggles and greetings. How? With exceptional knowledge! I’m pretty sure you are an expert in convincing someone to buy a product from you, but do you have enough experience to win their trust and get involved in a good conversation? If not, you’re not alone. We know that salespersons go through extensive training sessions that help them pitch in the best way and capture many high-quality leads. However, these training sessions lack the lessons that you need to learn to become someone who can generate a healthy conversation on just about anything. A healthy conversation is authentic and can be used to make an impact and influence your listeners. The day you become an expert in capturing the attention of a group of people, you’ll definitely be in a win-win position. If you are able to make someone spill out everything about them, my friend, you’ve got a crucial skill that could take you to the top of the charts. Technology is limited to taking care of transactional sales, but a salesperson has the power to understand and identify the real problems a customer faces. Only those salespersons can survive in the current era that can make prospects feel comfortable and safe. As soon as they think that you are talking to them for a commercial purpose, they’ll show you their hand walk away. To learn how to develop this skill, you need to see how some of the top TV hosts ask their guests questions. If you’ve ever noticed, these hosts are experts in making even the shyest person share something personal. In addition, you’ll also see them offend guests in the most inoffensive way and make it look funny instead. Start with ‘The Daily Show’ to see what I mean. One primary reason a salesperson’s KPI isn’t showing a good outcome is that they are lacking in providing value to their prospects. Come up with something new! Customers have gotten bored with the same old cold call every month to get insurance or apply for a loan, or a get a new credit card. If you want to get someone to buy your service or product you first have to inform them how they’ll benefit from the deal first. These customers are already aware of the fact that all you care about is reaching your monthly target and getting an employee of the month award. However, what’s in it for them? Nothing, most of the time! 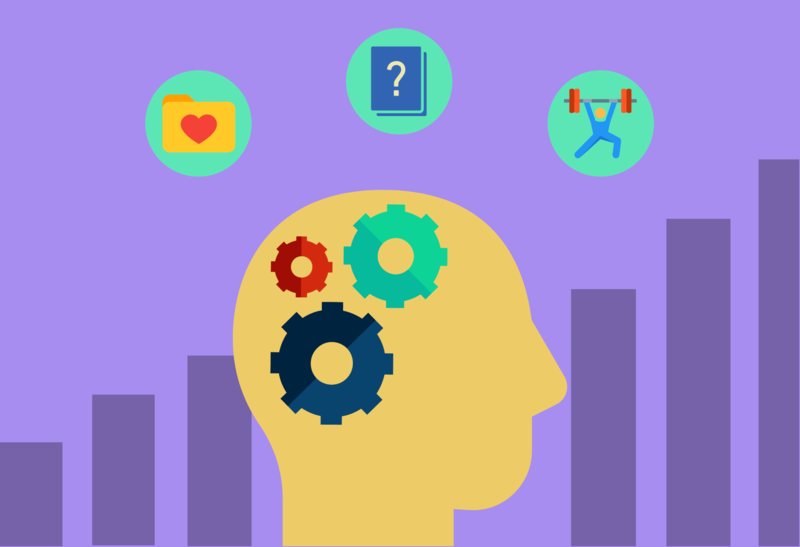 To tackle this persona you need to become creative with your sales pitches. Creativity is the art of combining information from different resources to come up with something entirely new. Artistic, isn’t it? Want to learn how? It’s quite simple, actually. Follow influential and creative business leaders of the world. Read their blogs and interviews to understand what they focus more on. In fact, I would advise you even to meet someone creative to know where they develop their ideas from. On the other hand, another way to bring out the creativity in you is by getting involved in extracurricular activities. It could be cooking classes, camping, arts, music and much more. Competition within the organization can always be suitable for any organization. No wonder many top businesses offer bonuses to top performers. However, this competition should still be healthy. All members of the sales department need to work as a team at the end of the day. You wouldn’t want them capturing each other’s clients and not focusing on luring unique leads. The same goes for an individual salesperson as well. Competition isn’t working hard to beat your own teammates. In fact, it should be an attempt to accomplish your goals. In addition, if you and your sales team achieve a goal together, believe me, it’ll be a more significant achievement. The best person to compete with you is always yourself. All you have to do is start making a habit of setting daily, weekly and monthly goals for yourself. These goals can be related to just about anything. From going to the gym every day to reaching the office on time, to finishing a book in a week. Note down all your goals and evaluate your performance on a monthly basis. As soon as you get the hang of it, you can even add these skills as your goals to become a better modern-day salesperson. Are you a salesperson getting called into your boss’s room every week for not achieving your target or obtaining a reasonable KPI? Well, there are many just like you who are suffering from this change in consumer behavior and spending pattern. However, you can change that by developing all five of the skills listed above. These skills are perfect to make you competitive and high-performing in this innovative era. Don’t waste time in working on traditional techniques and create a new plan to revamp your approach for a better future in your field of expertise. Beatrice McGraw is a digital marketing expert who works for ExportHub — An Online B2B Marketplace. She just loves to share her knowledge with the world in the form of blogs, videos and various other types of content. In her free time, she is an active gamer and a techwiz who adores researching innovative solutions that emerge in the digital world. Nice stats – but where do they come from? Thanks for letting us know, David! Post updated to be more accurate.